Due to your contribution to the success of Android Market, we would like to present you with a brand new Android device as part of our developer device seeding program. You are receiving this message because you’re one of the top developers in Android Market with one or more of your applications having a 3.5 star or higher rating and more than 5,000 unique downloads. In order to receive this device, you must click through to this site, read the terms and conditions of the offer and fill out the registration form to give us your current mailing address so that we can ship your device. 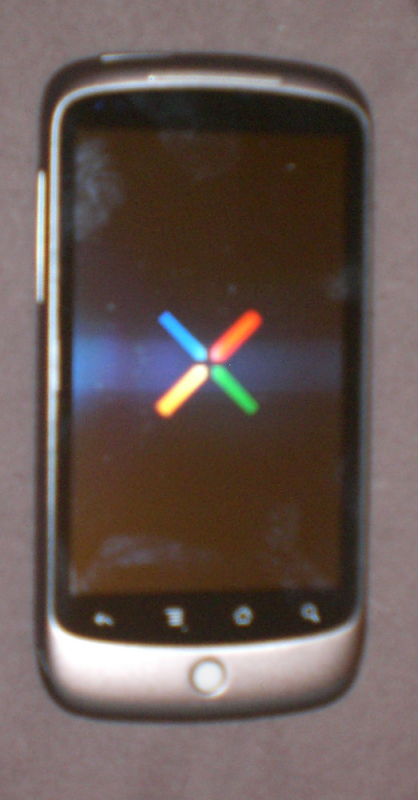 You will receive either a Verizon Droid by Motorola or a Nexus One. 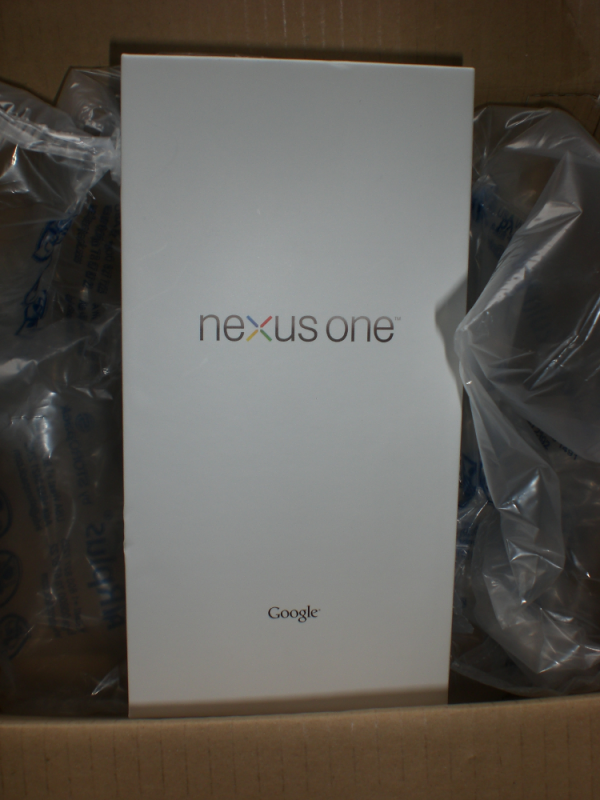 Developers with mailing addresses in the US will receive either a Droid or Nexus one, based on random distribution. 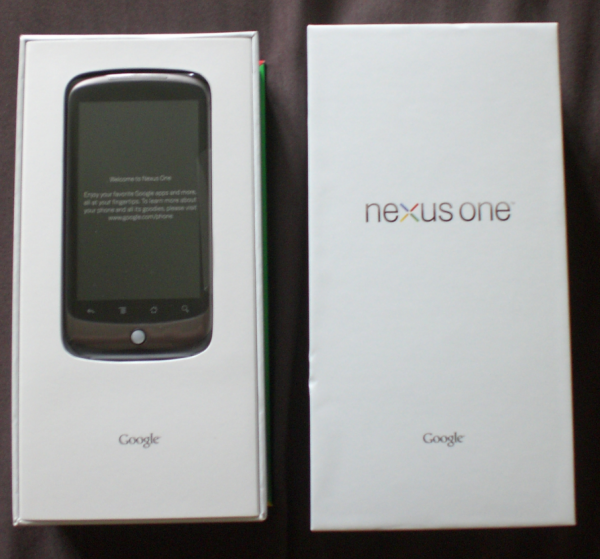 Developers from Canada, EU, and the EEA states (Norway, Lichtenstein), Switzerland, Hong Kong, Taiwan, and Singapore will receive a Nexus One. Developers with mailing addresses in countries not listed above will not receive a phone since these phones are not certified to be used in other countries. We hope that you will enjoy your new device and continue to build more insanely popular apps for Android! NOTE: You have received this mandatory email to notify you about an important update to the status of your Android account. 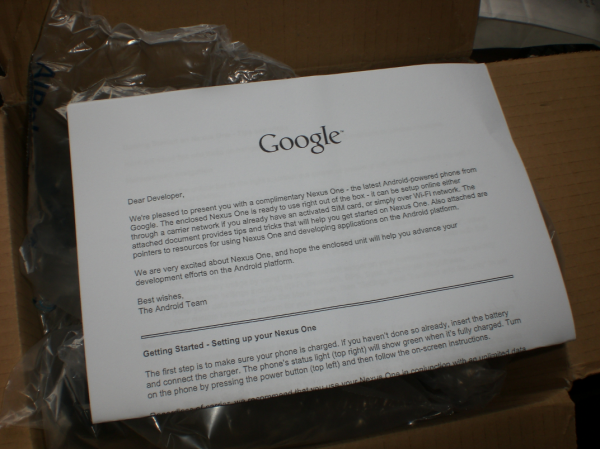 Weâ€™ve received your information for the Android Market Device Seeding Program and have successfully validated the Google Order Number from your developer account. If you need to make any changes to your information above, please contact us at android-market-seeding@google.com as soon as possible. Otherwise, you should receive your phone in 2-4 weeks! 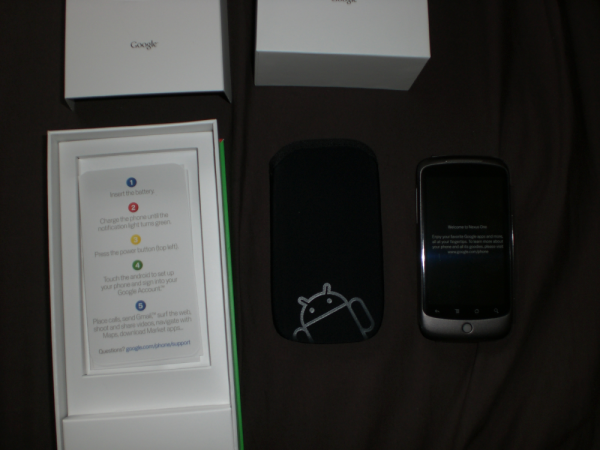 I then received phone the phone on 29/04/2010 ~11:10. This is a lot later (3 weeks and 6 days) than the 2-4 weeks estimated for delivery, however this is believed to have been the fault of the shipping company Google were using. 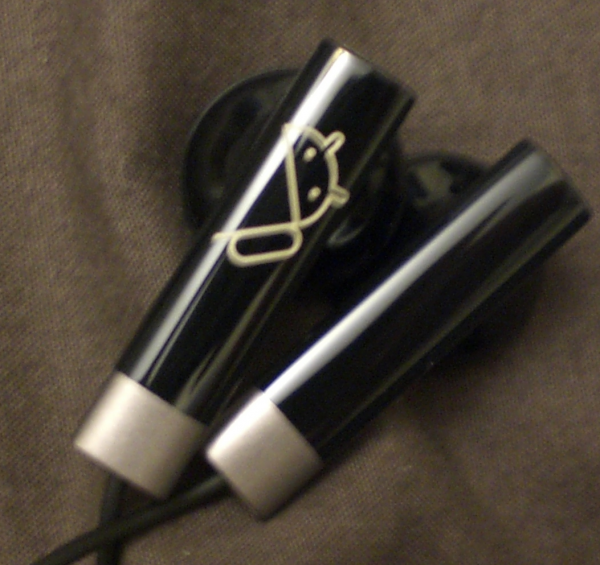 Note: I will probably update this post with better photos and photos of the phone in action, or possibly even give a review of how awesome the phone is (and also how to get the internet working on o2 UK). Do you know if this applies for any developer that matches the criteria of an app with 5k downloads and 3.5+ rating? @WeldFire I believe so as long as you matched that criteria before a certain date (I think it was 01/03/2010) however google is the authority on this, not me.